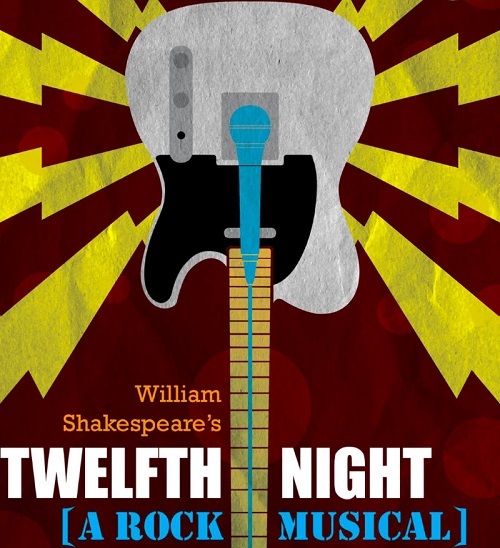 Santa Clarita Shakespeare Festival is introducing a number of new events this summer in addition to its popular full-length production, which is a Shakespeare classic reinvented indie rock style, 12th Night – A Rock Musical. “It is a wonderful reimagining of one of Shakespeare’s most beloved comedies,” says David Stears, the company’s executive director. “The Shakespearean text lends itself to rock music so easily. And it is great fun!” The production is a partnership with the Festival of New American Musicals and runs July 18 – August 16, 2015. As part of the festival’s community engagement program, Crezca Teatro Comunitario debuts a new play developed by playwright Victor Vazquez, directors Sayda Trujillo and Juan Parada, associate producer Carla Corona and local residents. For more about the program go to www.crezcateatro.org. The festival will also produce Once More Unto the Breach, an original compilation of Shakespeare’s text and writings on War, Honor, and Bravery compiled and edited by David Stears and Luck Hari. The title comes from a line of text in Henry V, a call to arms to a weary fighting force to once again enter the field of battle. Another new event is a mini-REN-FEST with family entertainment, food, vendors, and sword fights, all celebrating the opening of the Shakespeare in the Park production. Everyone is encouraged to come in their best renaissance costumes. For more information and a complete look at all of the events taking place this summer, go to www.lasummerfest.org.